Vines Storage protects your valuables from weather-related threats. 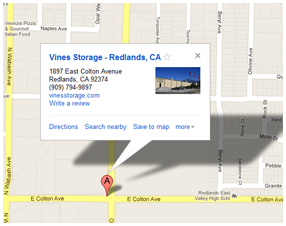 Convenient Seasonal Storage in Redlands CA also protects your belongings from damage caused by how they’re stored. Designed from a warehouse, Vines Storage offers versatility and expansive space so there is plenty of room to properly store and easily access your items. The environment can wreak havoc on vehicles, furniture, and other possessions. Units are designed to manage whatever Mother Nature has in store. For example, your recreational vehicle is stored so it looks and functions like new. 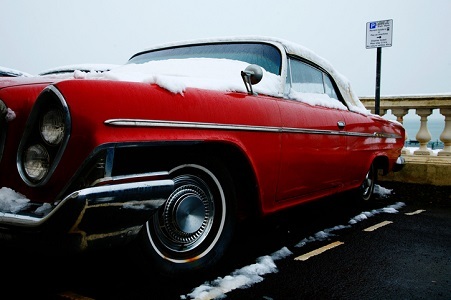 Cold and fluctuating temperatures can cause irreparable damage to parts of vehicles, electronics and other items stored as “overflow” from your office or home. By offering climate-controlled storage, your possessions resist the condensation, cracking, and other effects caused by weather extremes or changes that can be very hard on any object that’s not being used regularly. Vines Storage keeps the units at a controlled temperature, which helps to extend the life of vehicles and smaller objects while also preventing irreparable damage to items that can’t be replaced, like family heirlooms. Indoor storage options in general help to protect from weather events, as well as other threats that come with being in the “Great Outdoors,” from animal and insect infestations to the “human element,” vandalism and theft. These features are the tip of the iceberg. Call 909-389-6209 to reserve space built to suit your needs.